This rocket scientist was studying to be an astronaut before he decided wine was even cooler than space. So he dropped aeronautics and picked up a degree in winemaking from UC Davis. And he dropped conventional distribution just as quickly! When he saw the power of Angel funding, he immediately signed up, eager to create better wines at better prices. Angel funding allows this hugely talented and driven individual to apply all his attention to making the best wine possible. Whether he’s keeping it classic with big, bold Cabernet or putting a fresh, vibrant spin on traditional whites, you freed Matt to make show-stopping wines for an incredibly delicious price. I originally went to UC Davis to play football and study Aeronautical Engineering. While there, somebody suggested I take Introduction to Winemaking as an elective. The rest is history. It was the first final I ever wanted to study for so it was a no-brainer. Making wine is so much fun. Following each step and watching the wine progress is really what makes my brain click. When I make wine, I like to stay simple. 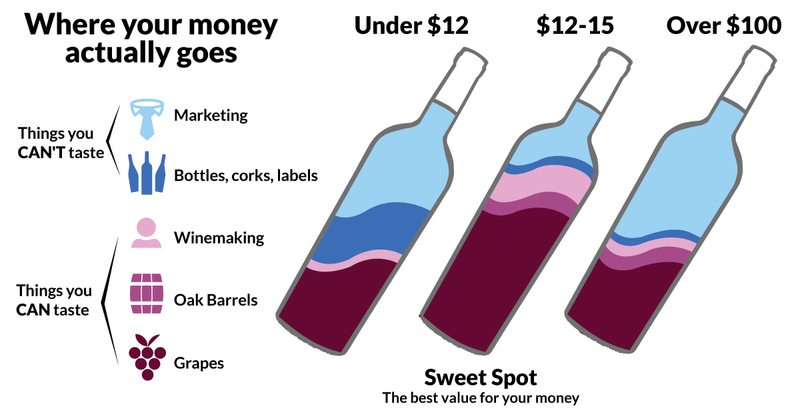 So many wineries and winemakers these days get too caught up in optical-this and additive-that; keeping it simple is the easiest way to make a great wine. Wine is not meant to be a recipe where you throw a laundry list of ingredients in to make a product; it's meant to be a natural process in which we intervene only when necessary. I guess I am a bit old school.